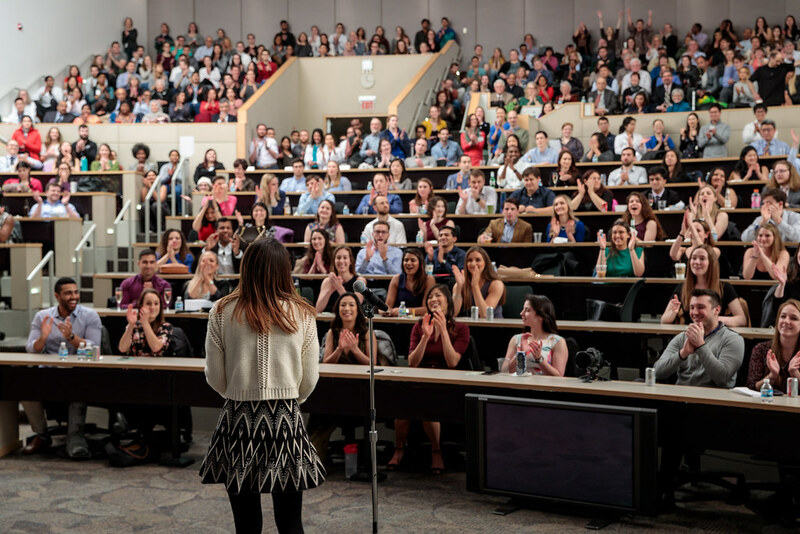 Match Day is like the Academy Awards for medical students. 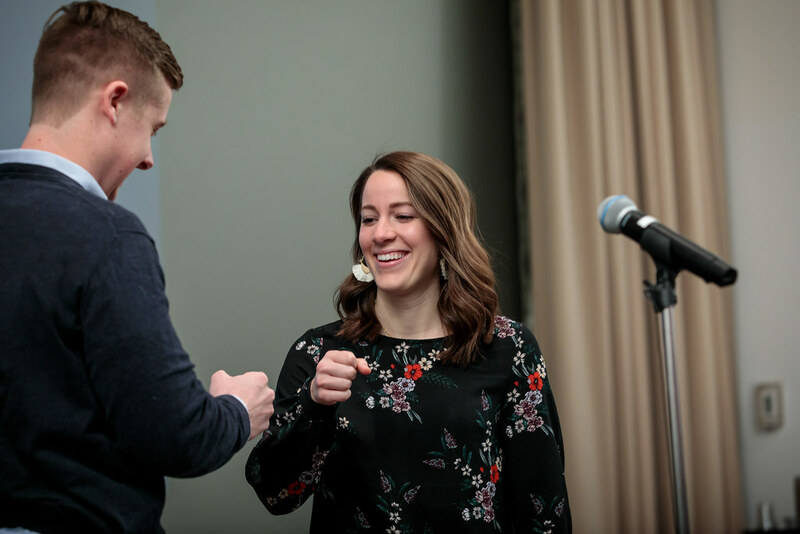 Nervous anticipation precedes a ceremonial unsealing of envelopes that often inspires cheers, clapping and tearful thanks to family and friends who provided emotional support. 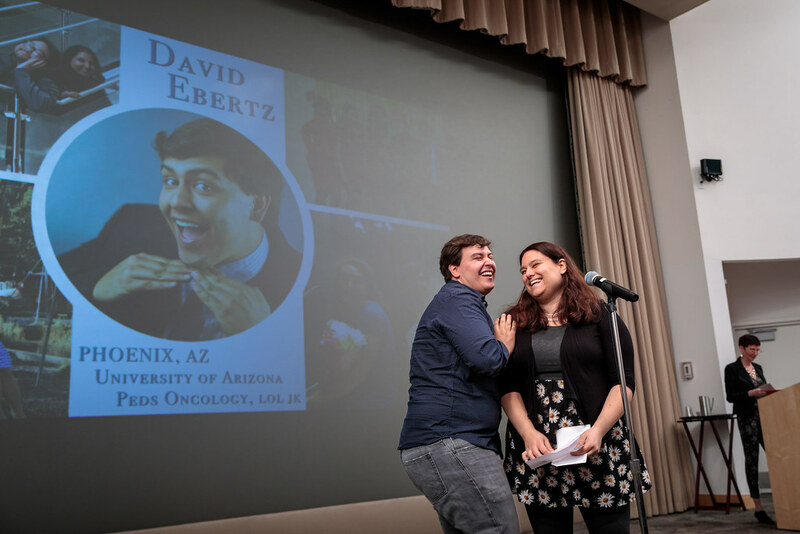 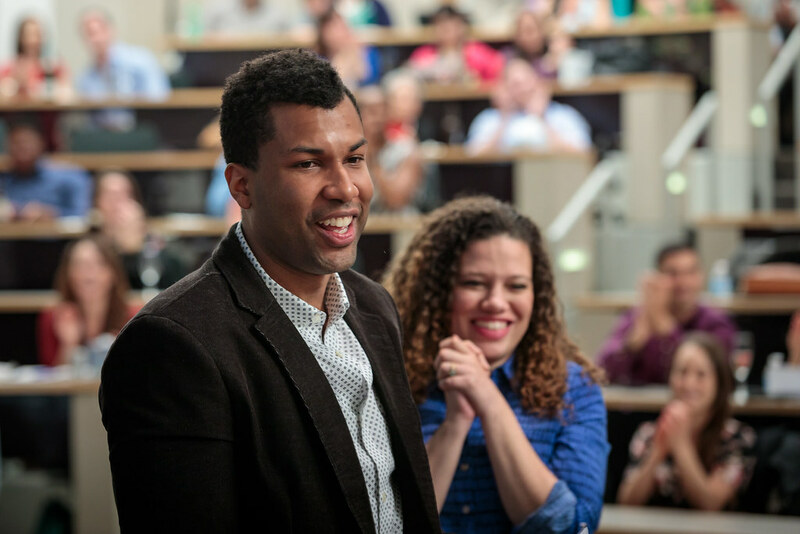 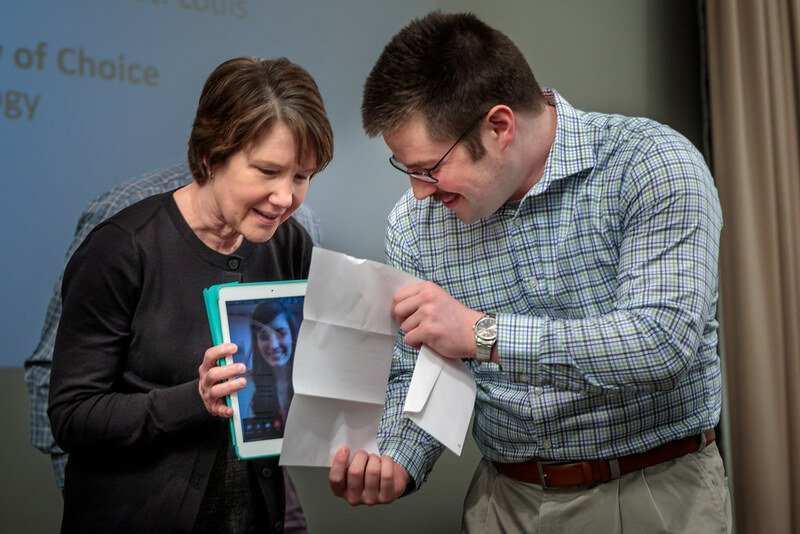 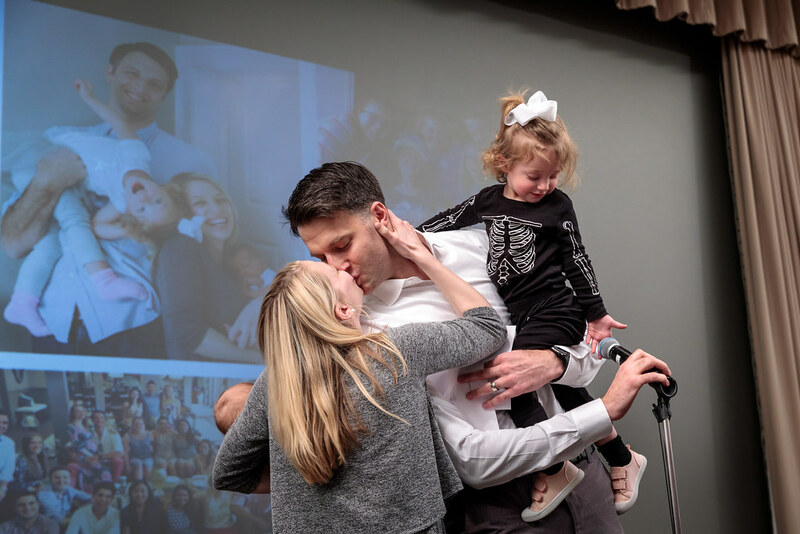 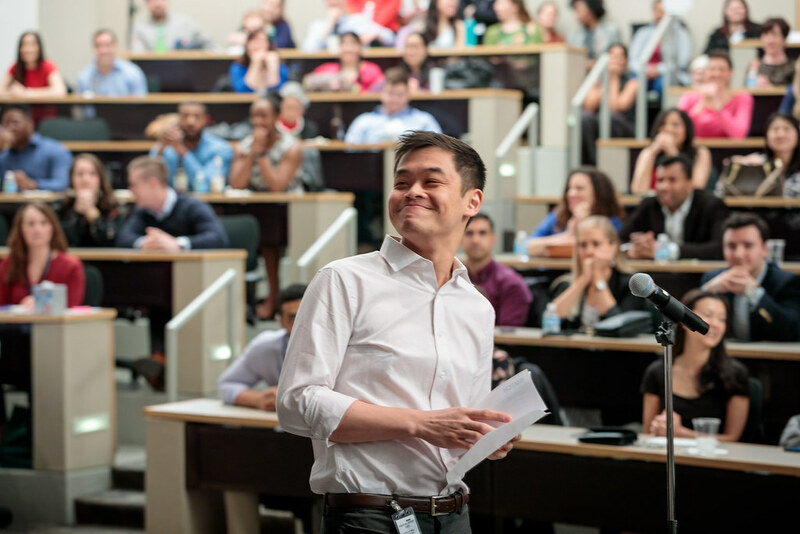 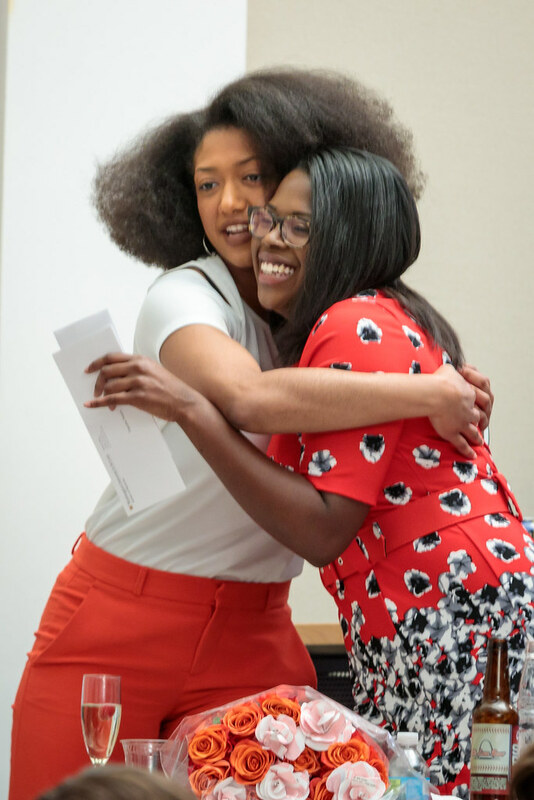 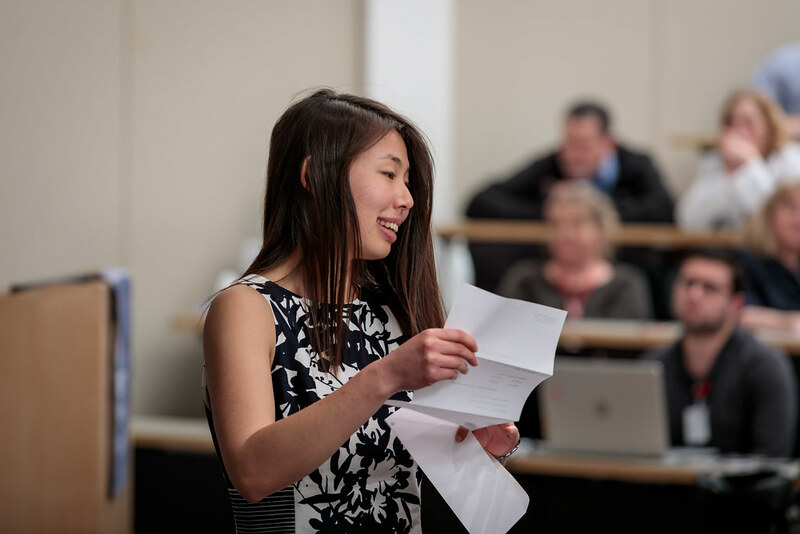 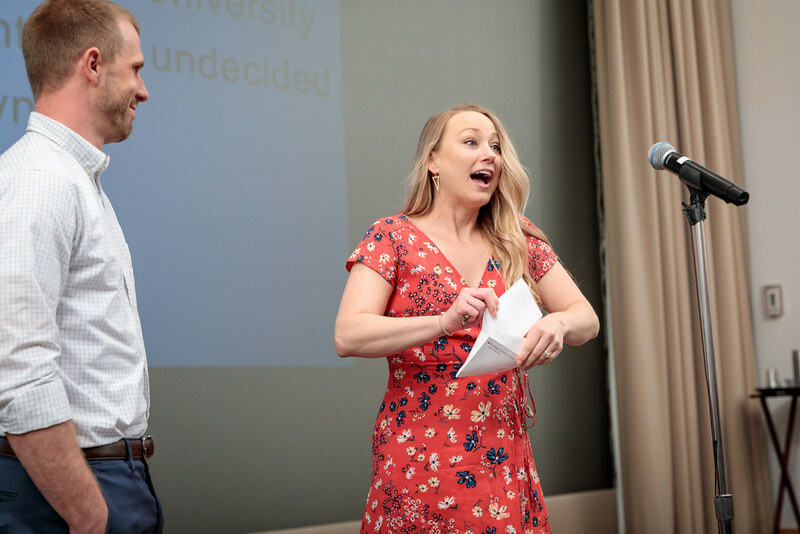 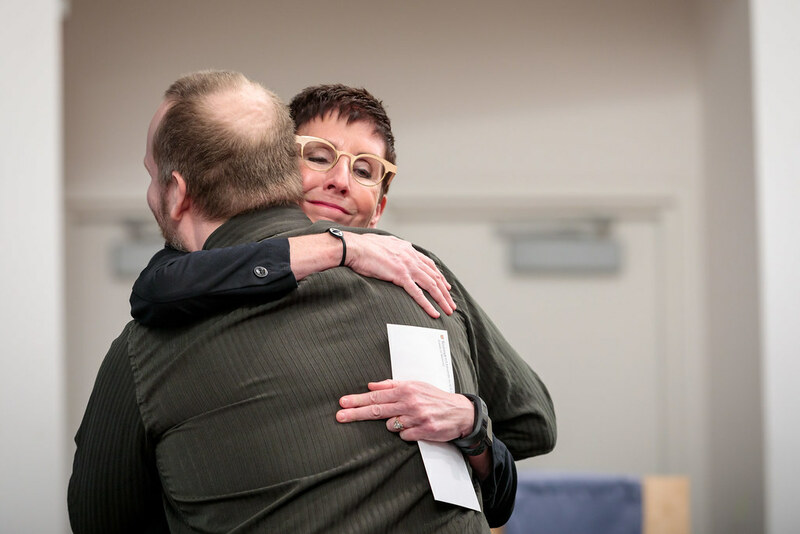 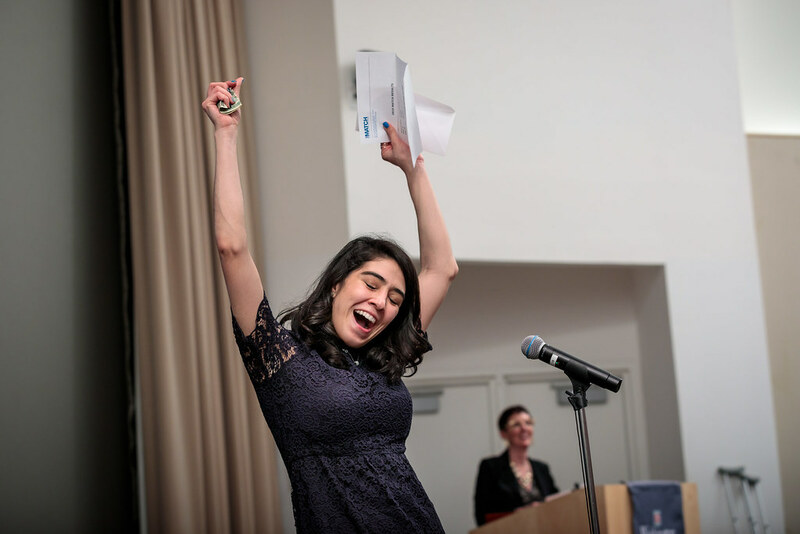 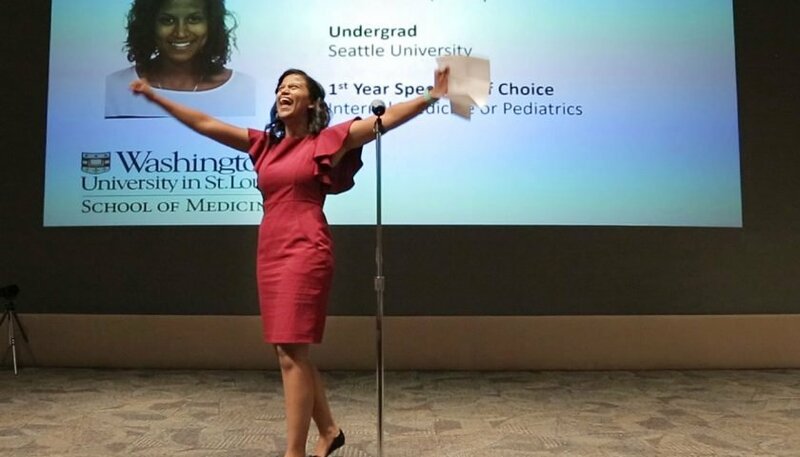 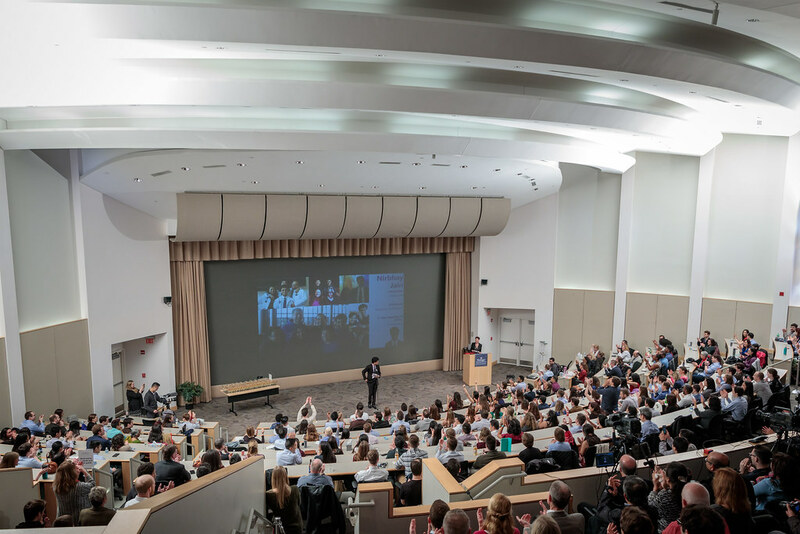 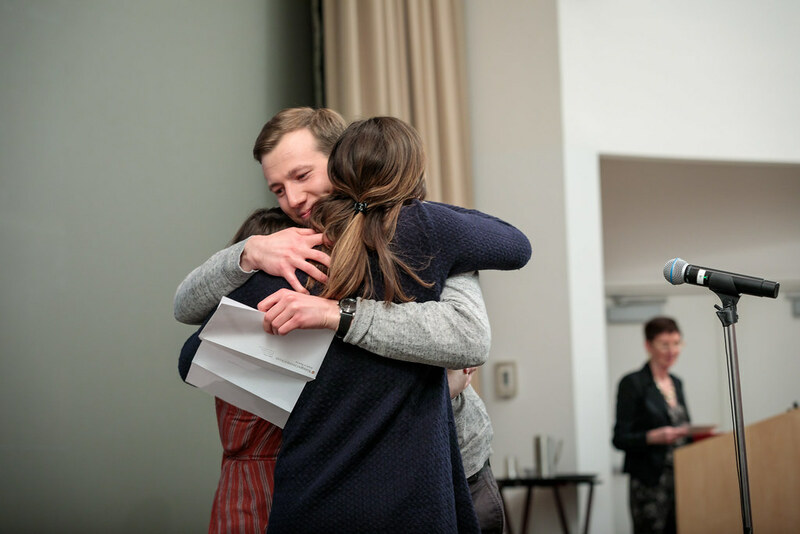 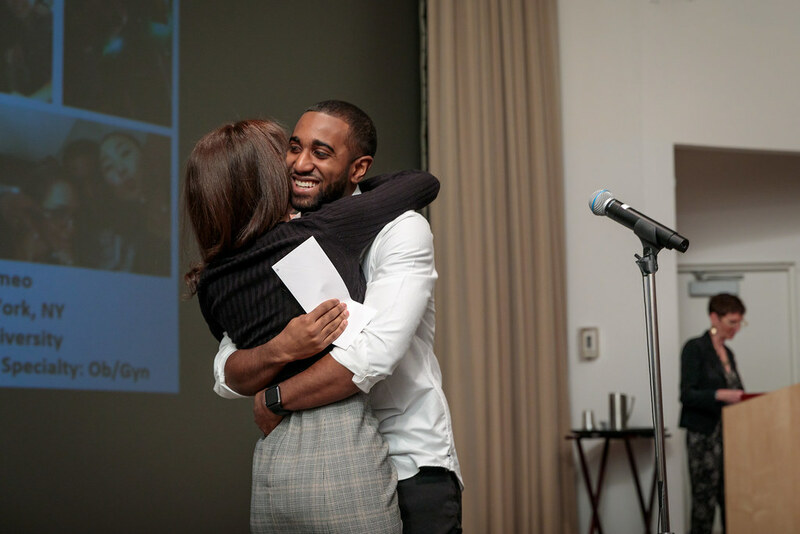 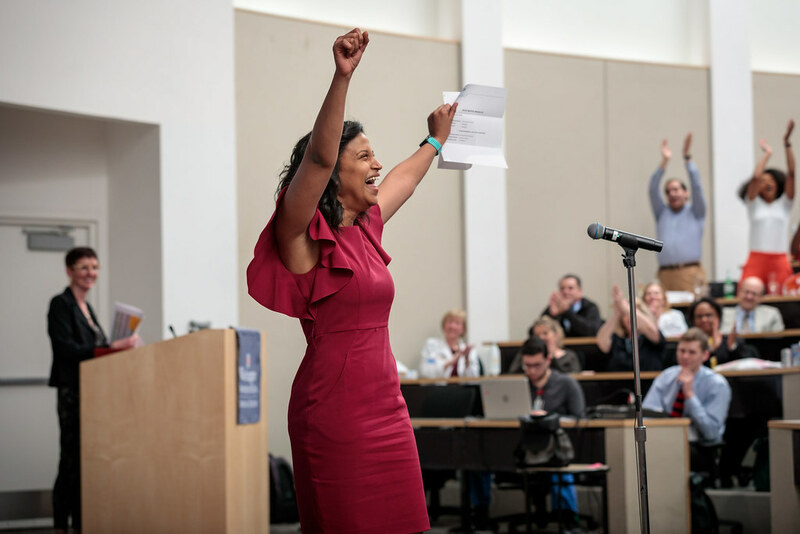 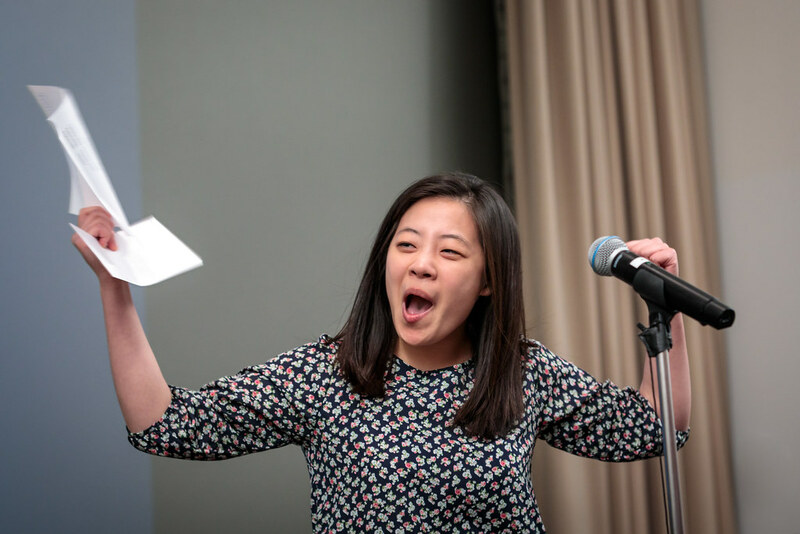 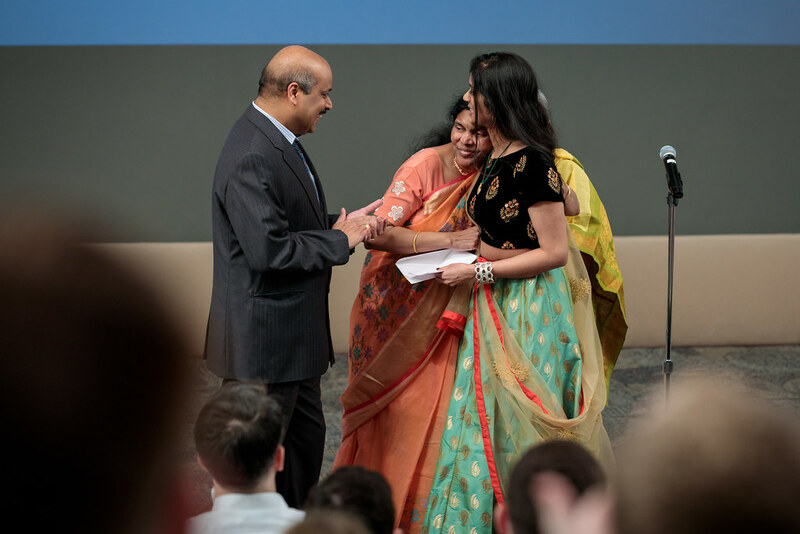 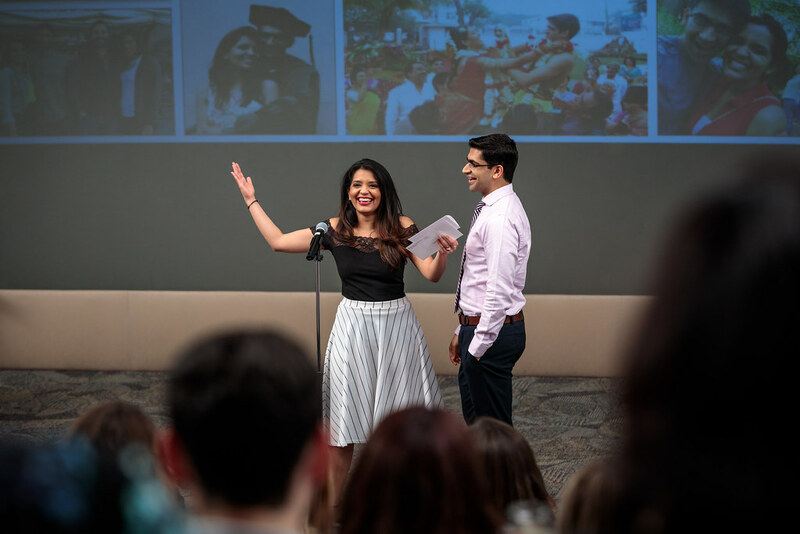 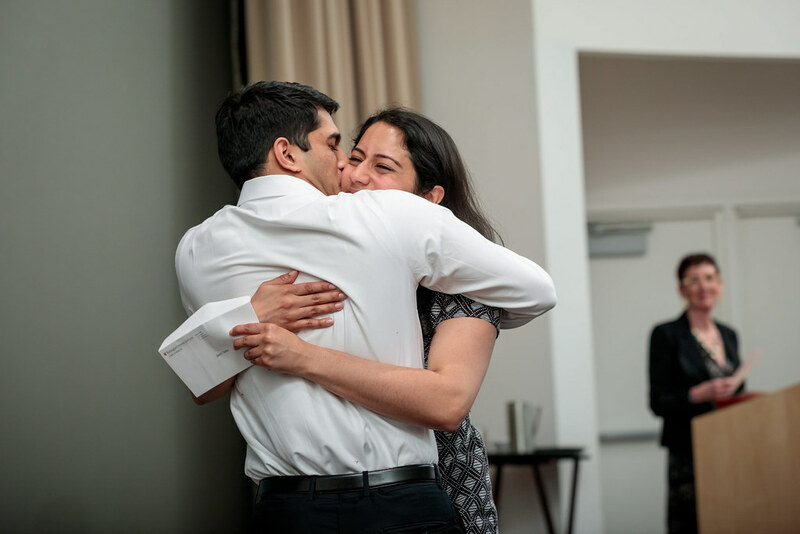 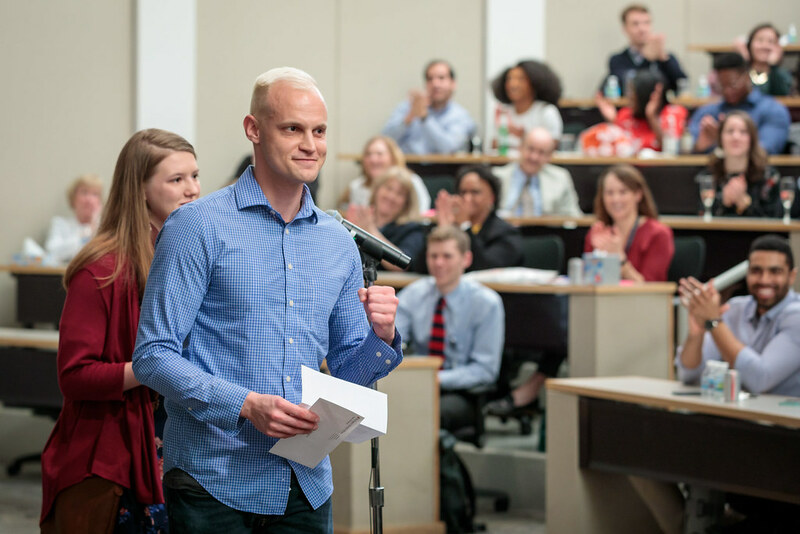 The spotlight arrived Friday, March 15, at Washington University School of Medicine in St. Louis, when 124 physicians-to-be opened envelopes that revealed the names of the hospitals where they will train as medical residents after graduation. 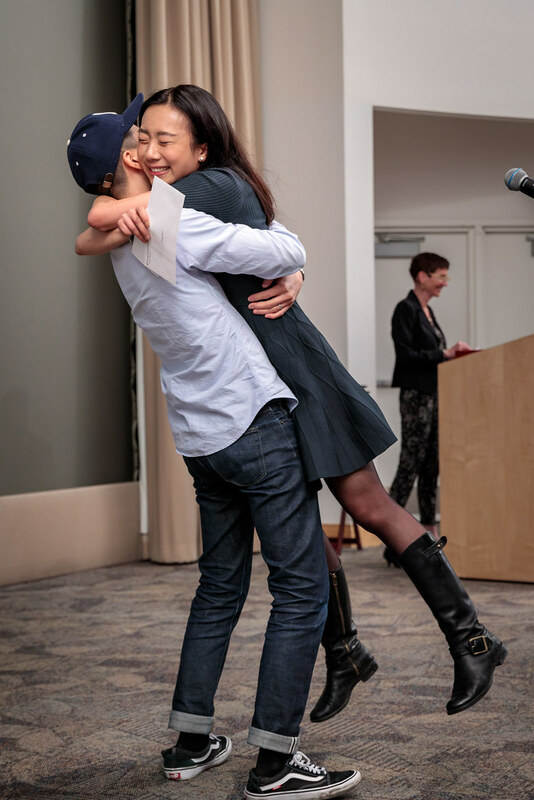 Along with the event came happy tears, hugs and high-fives. 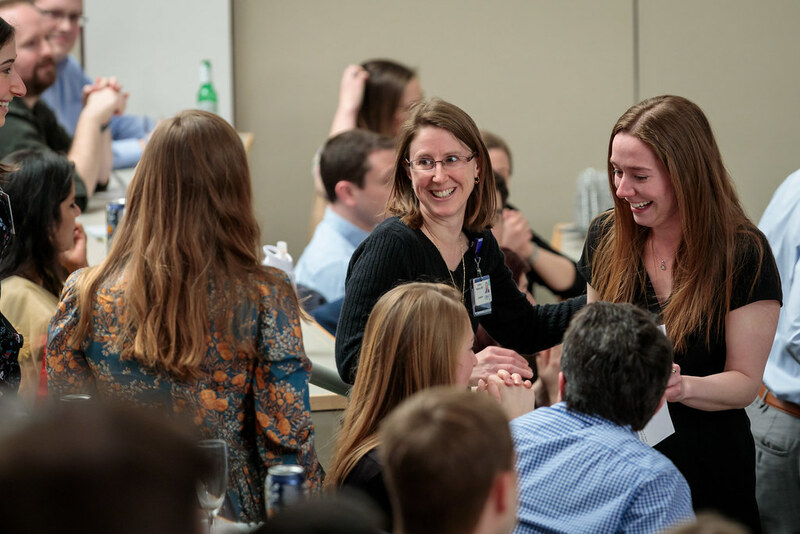 “This is perhaps the most momentous milestone in medical school,” said Kathryn Diemer, MD, assistant dean for career counseling and a professor of medicine. 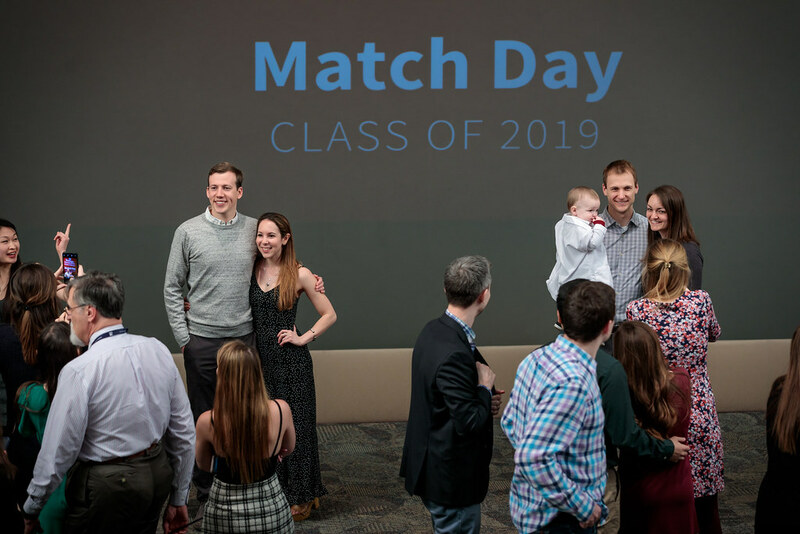 She has been in charge of Match Day at Washington University since 2000. 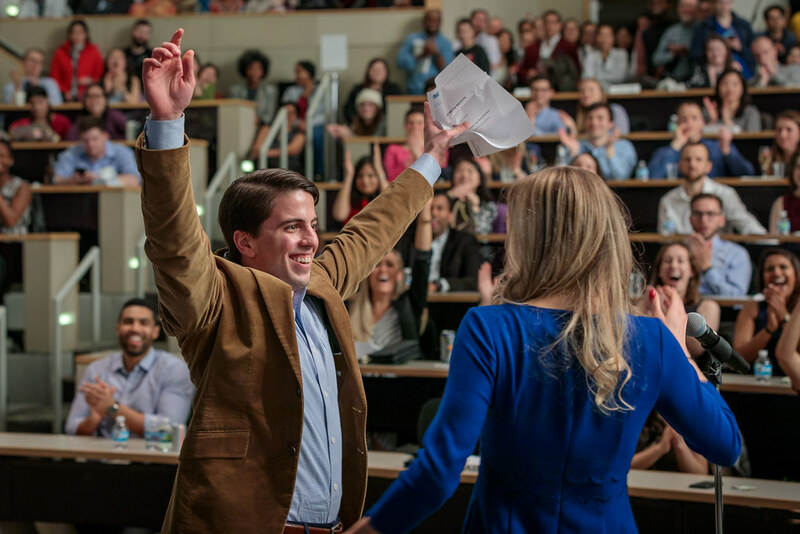 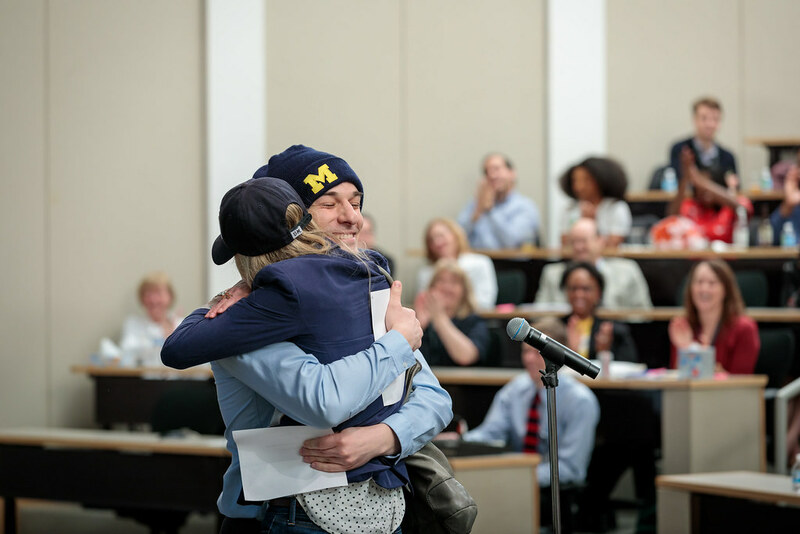 Thousands of medical students nationwide participate in Match Day. 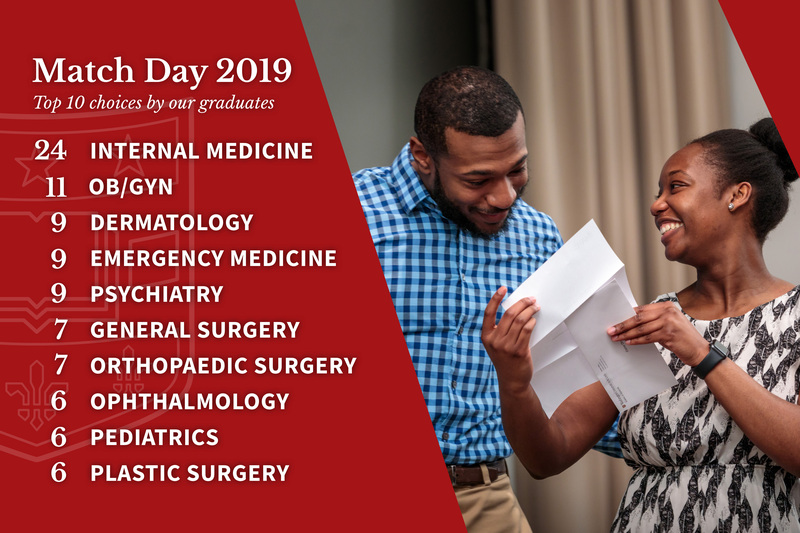 However, medical schools celebrate in different ways. 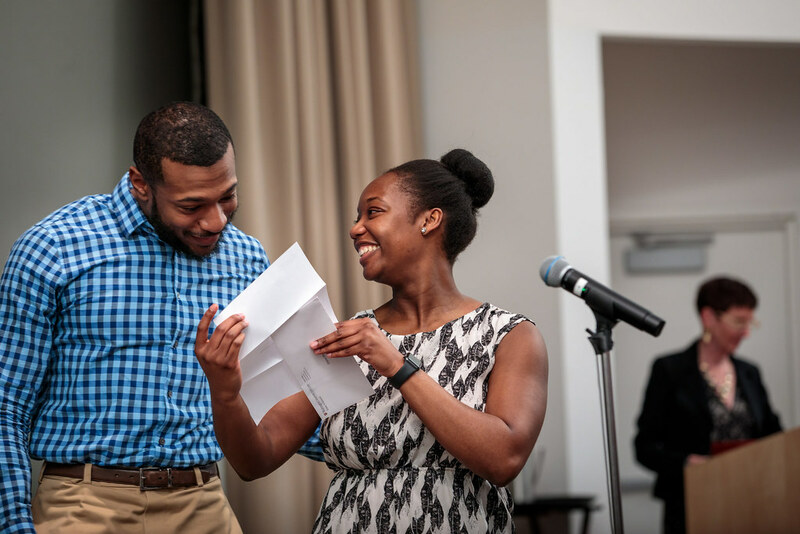 Some have students simultaneously open envelopes that divulge the names of the institutions where they will begin residency training in July. 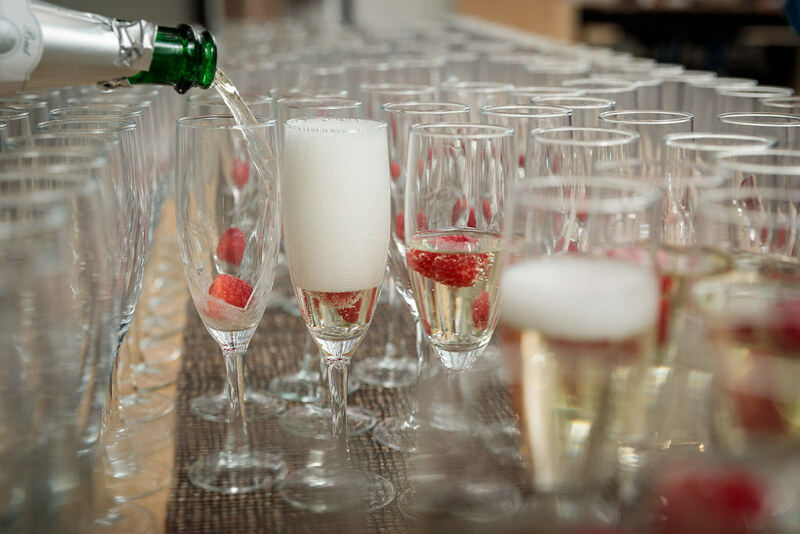 Others host formal brunches or informal gatherings at restaurants. 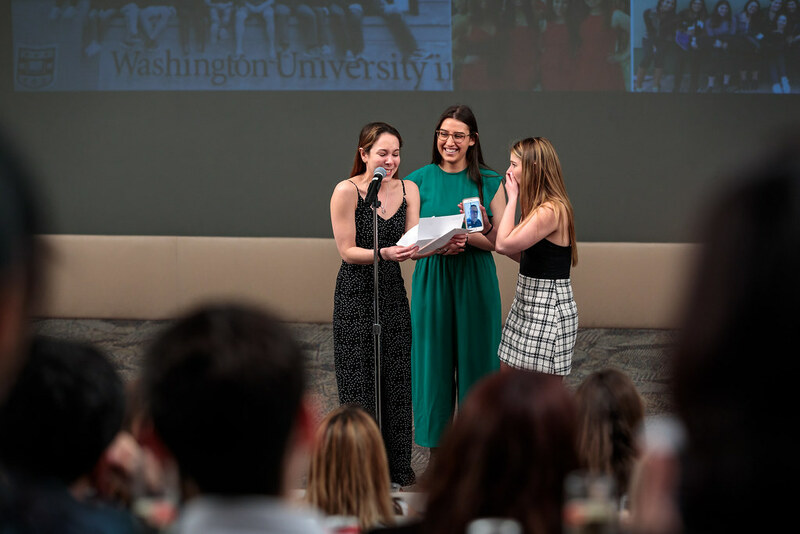 At Washington University, a big screen behind the stage at the Eric P. Newman Education Center recalls each student’s ambitions as first-year students and juxtaposes that past with the future. 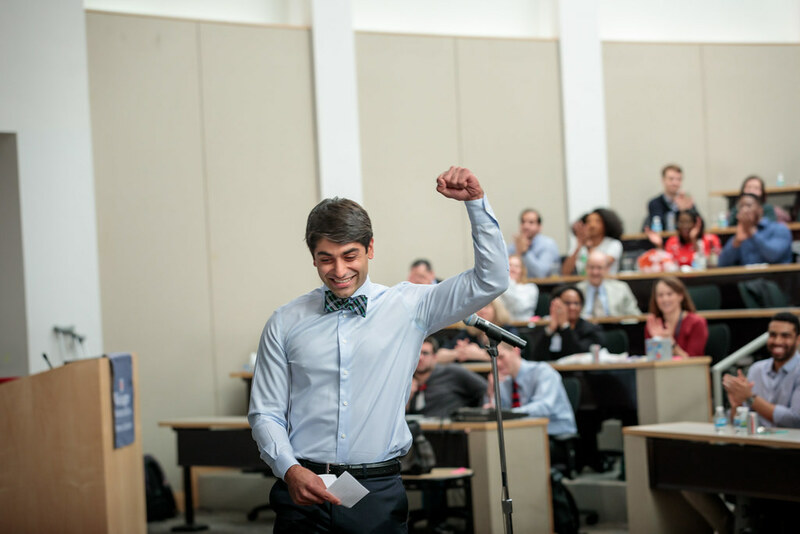 Students individually walk, strut or dance across the stage to theme songs each chooses. 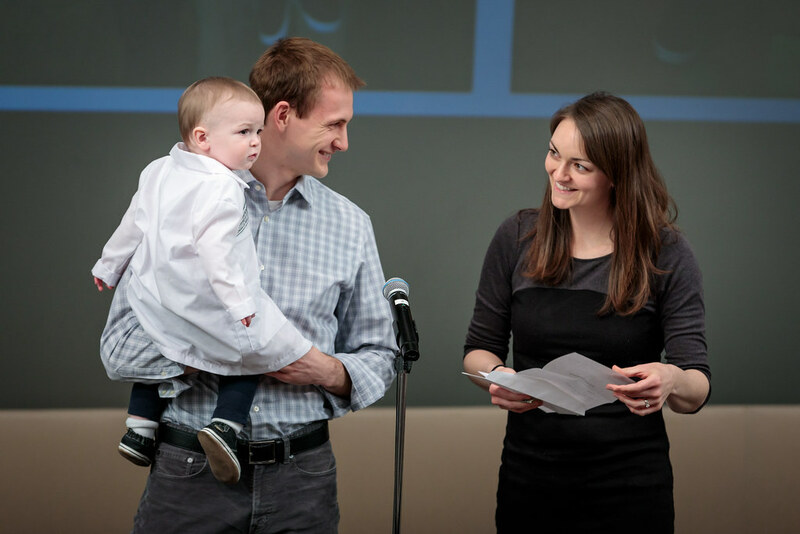 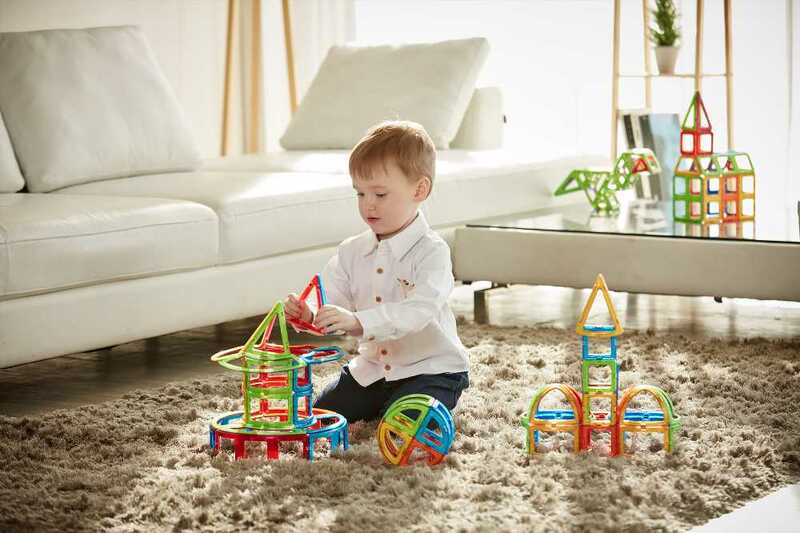 Some invite friends and families — including babies, toddlers and teens — to accompany them on stage. 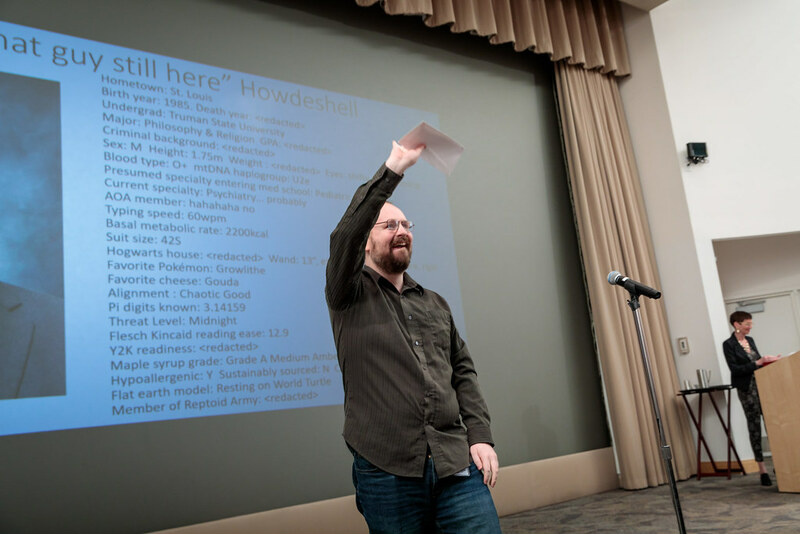 Each then reads out loud his or her match. 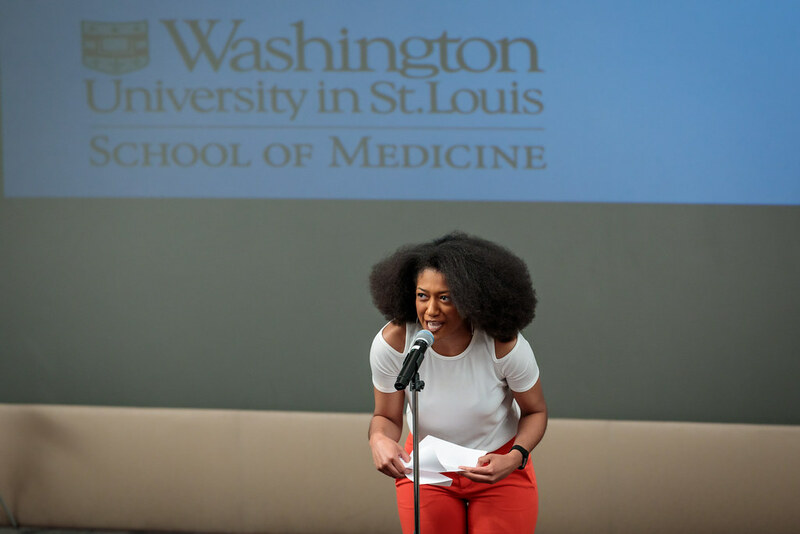 Among the university’s multitalented medical students, many will stay in St. Louis for residencies at Barnes-Jewish and St. Louis Children’s hospitals. 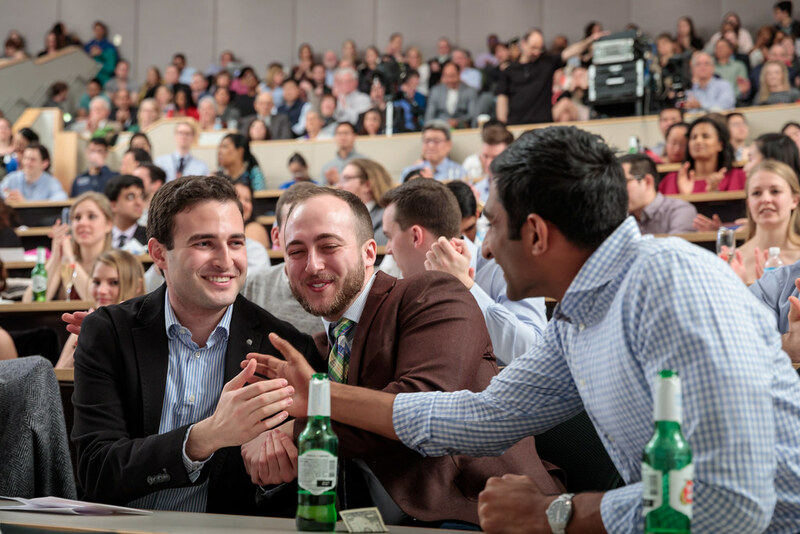 Others matched at hospitals throughout the United States, including Massachusetts General Hospital and Brigham and Women’s Hospital in Boston; UCSF Medical Center in San Francisco; UCLA Medical Center in Los Angeles; the Johns Hopkins Hospital in Baltimore; McGaw Medical Center of Northwestern University in Chicago; New York-Presbyterian Hospital, affiliated with both Columbia University and Cornell University; and hospitals affiliated with Stanford University in Palo Alto, Calif.
Of the 124 medical students, 41 will train at Barnes-Jewish Hospital and two at St. Louis Children’s Hospital. 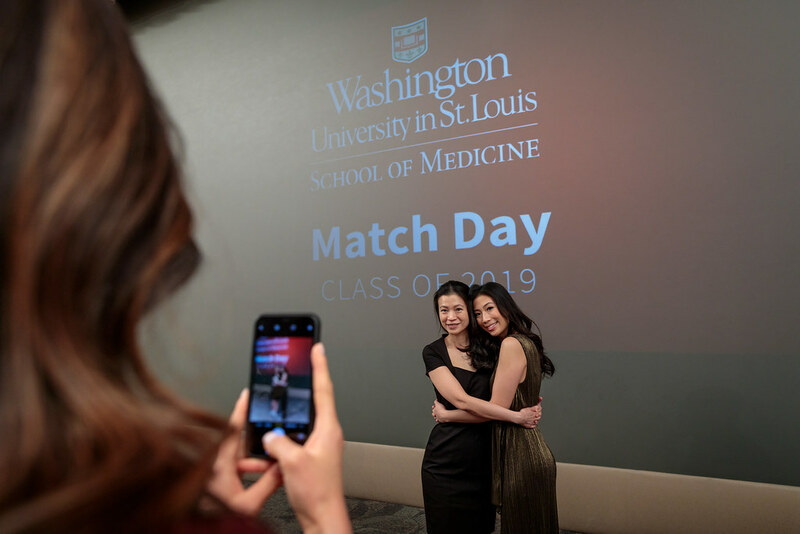 Besides Missouri, the most popular states where School of Medicine students will train include California, Illinois, Massachusetts, New York and Maryland. 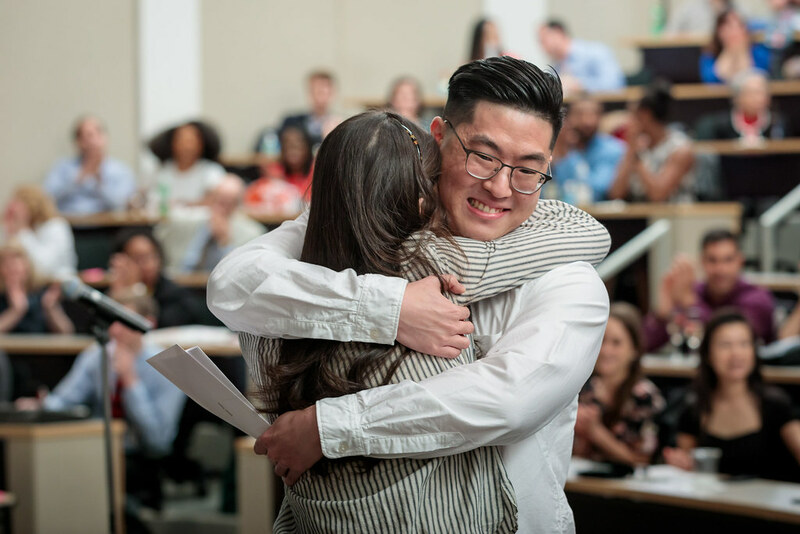 Altogether, this year’s class will be represented at hospitals in 21 states and Washington, D.C.
Twenty-eight students will train in surgery, including seven each in general surgery and orthopedic surgery; and six in plastic surgery. 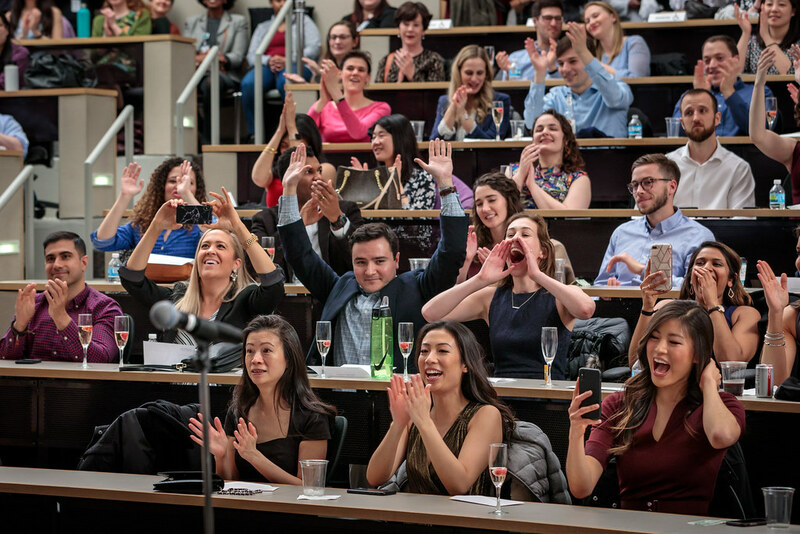 The next largest group of students — 24 — will train in internal medicine, followed by 11 in obstetrics-gynecology and nine each in emergency medicine, psychiatry and dermatology. 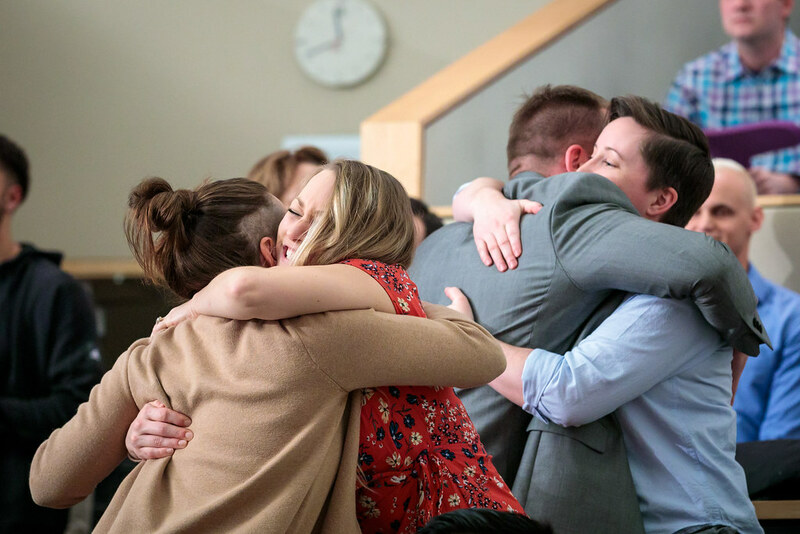 Overall, the National Resident Matching Program recorded the largest match ever, with 38,376 applicants registered and 35,185 positions offered.